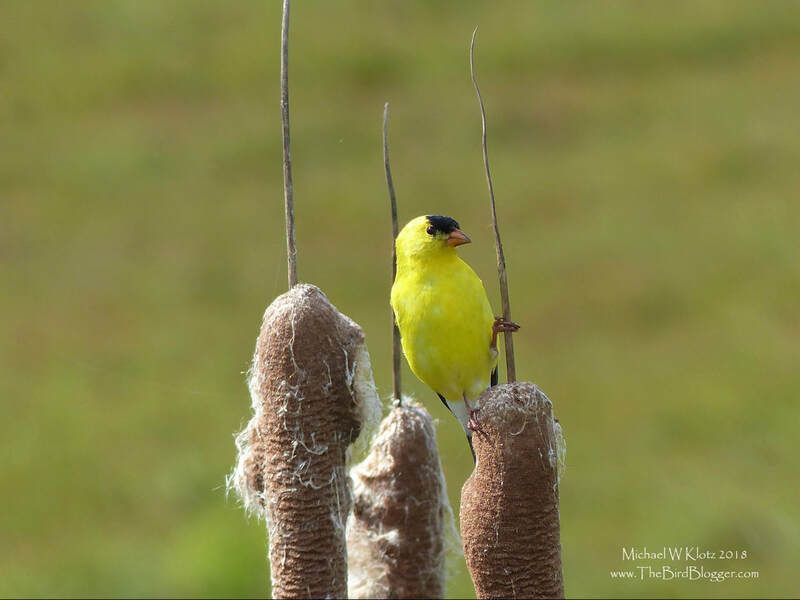 During a search for a rare bird migrating through, I came across a group of Goldfinches that had found a pocket of cattails along the road just above a section of dandelions in bloom and seed. One of the birds was quite happy to strike a pose on the top of one of last years rush seed heads. The yellow in these Goldfinch are striking, but the black on the heads and wings, there are few birds that are as beautiful. American Goldfinch molt those beautiful feathers every year and become a very drab olive green in September and have the yellow back in May. Sibley's has done an amazing job of capturing the molt on this page.